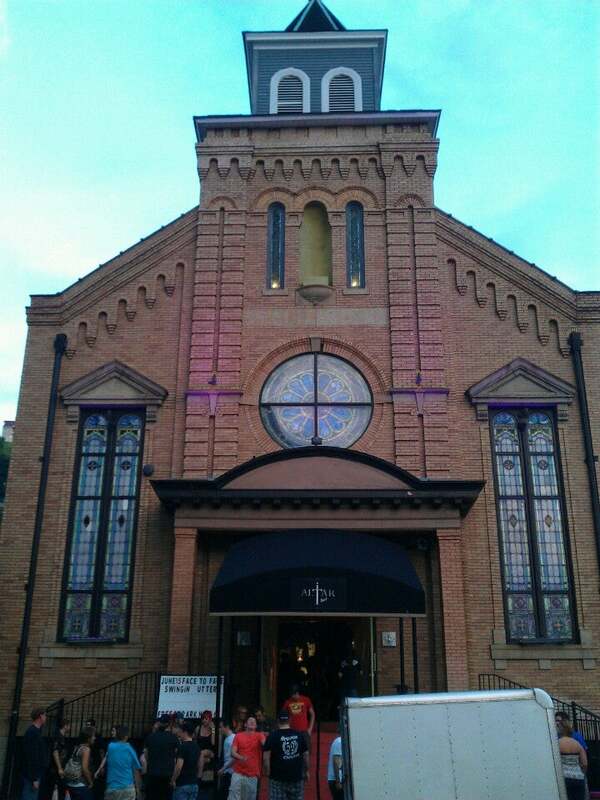 Located in Pittsburgh’s historic Strip District, The Altar Bar is a premier music venue hell-bent on resurrecting live music in the city. It all starts with the space. Converted from the beautiful old St. Elizabeth church, The Altar Bar sprawls over three floors of open air and stunning acoustics, fit for a comfortable 650 person capacity, two full-stocked bars and a VIP lounge. It’s the perfect size for a memorable concert: enough space to draw the big names but intimate enough to actually see them. In five short years, The Altar Bar has established itself as a vital touchpoint for live music in Pittsburgh and it happened simply because The Altar Bar is committed to bringing something fresh to the fans who want it.